[Happy Birthday!] Quake II – I ❤ Old Games! Today turns 20 another great FPS, a genre I loved back then and that I still love, even though I have no time to play it anymore 😦 It’s Quake II, released today, December 16th in 1997. 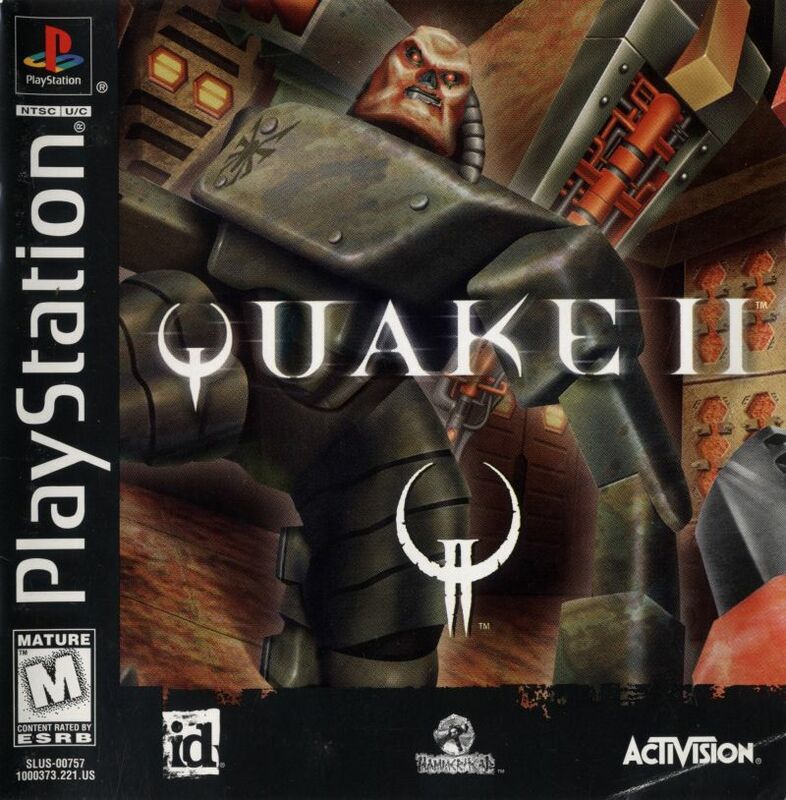 Back in 1997 I was still enjoying the liked of Duke Nukem 3D and I still haven’t discovered Half-Life (one of my FPSs of choice) soQuake II stands inbetween and I’ve never fully enjoyed it. However I’ve tried it back then and even in recent times, since I’ve bought the N64 version (that, unfortunately for me has a controller which is not the ideal one for these kind of games). Have you got it? What are your thoughts about it? Previous Post [Shut up and take my money!] Ataribox: another dead end? Dude it’s so good. One of the very best old shooters ever. You can get enhanced texture packs for it now to spruce it up a bit on PC too. It’s a timeless classic. The only drawback to getting it on a modern computer via GOG or Steam is that it doesn’t include the soundtrack. You’ll want the original CD version. Buuuuuut the flipside is the Original CD-Rom release can get expensive. Not Little Samson on the NES expensive, but almost as much as a new game expensive. It’s also worth noting the Nintendo 64 version isn’t a port. It’s an all-new (at the time) game from the ground up, designed with the controller in mind. Because of this every stage in the game is completely different from what was seen on the PC. So if you’re a huge fan of the series you should honestly play both versions. Oooh. I didn’t know that about the N64 version. I need that! Depends on the game. Some used the control stick as the mouse, and the d pad or c buttons as WASD. The other buttons could be used to jump, duck, open doors, etc. Rare’s FPS titles had you move with the control stick instead. I played this so much when I was at school. We even convinced one of the tech guys there to let us set it up on the school network for us to play at lunch times. Maps like The Edge and The Frag Pope are forever engrained in my memory. I was a massive fan of Quake II back in the day. I picked it up a few years after it was released and it became my multiplayer game of choice for several years afterwards. Still love the soundtrack.